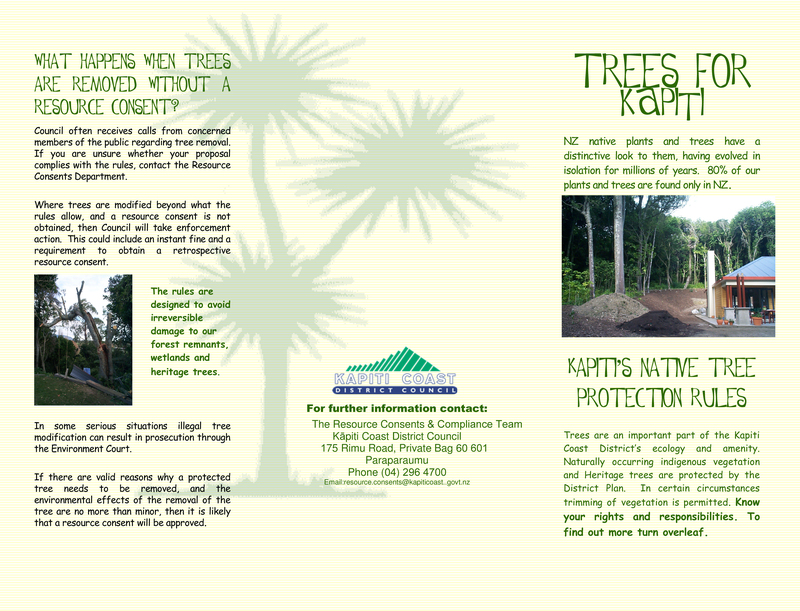 As mentioned in a earlier post, native trees are important to NZ’s heritage and environment, and all local councils have protection rules for them as bylaws. We have had issues with a certain property developer disregarding the rules, not to mention his lack of concern for the environment, and we know others have got themselves in trouble over it, too. The KCDC District Plan recently changed to less blanket coverage of all natives and more selected protection for specific trees in specific areas. 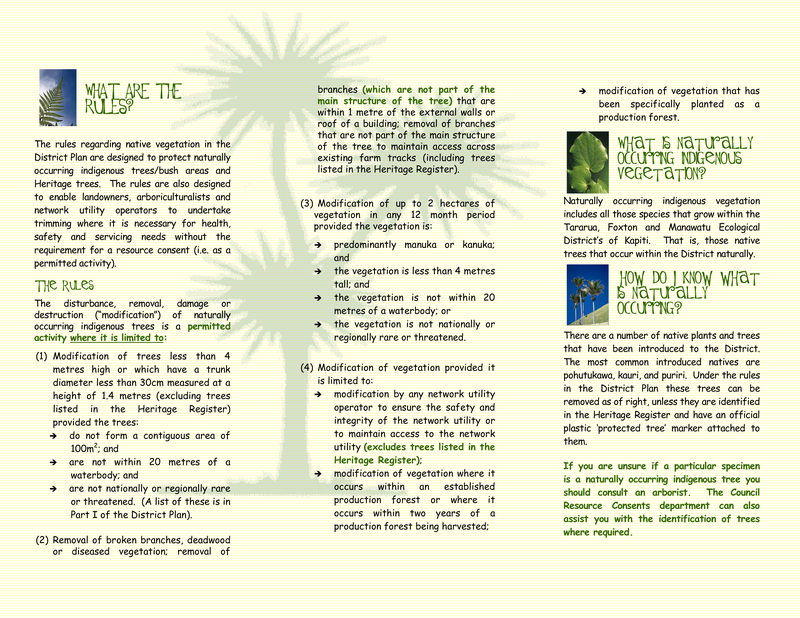 When it became necessary to modify native trees on our property a couple of years ago, we got the council’s Biodiversity officer around to tell us what could be removed/trimmed and what had to stay. This is what you should do, too. 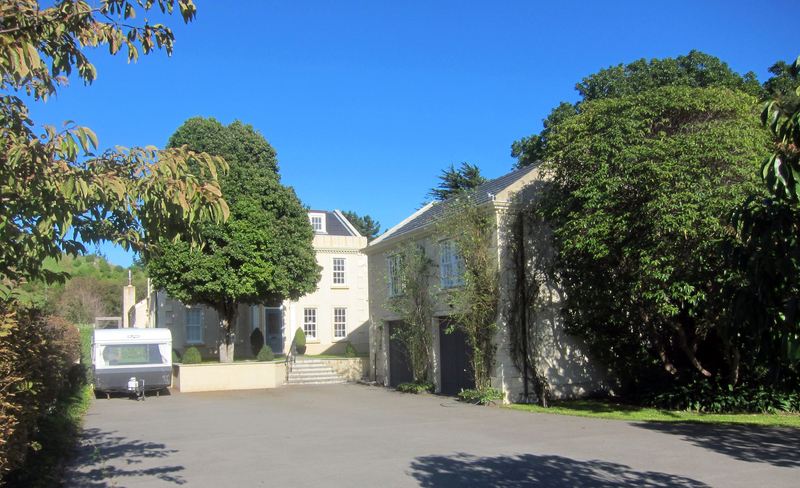 While most houses in Waikanae are of the antipodean bungalow style, this one is unusually French influenced, noticed near the corner of Rauparaha Street and Te Moana Road during the February campaign. We suspect that large tree in front is deciduous so we will check again a few weeks to see if a better view of the house is available. That tree is not deciduous. Last week we got an electric multiple unit train from Wellington to Waikanae on a Thursday at 4:40 pm — it was packed and had standing room only as far as Mana. Today we got the Capital Connection at 5:15 pm — it was pretty full with few spare seats noticed in the 6 cars. It was more comfortable with nicer seats than the units and the tables between some bays of 4 seats provide handy laptop areas for those who want to work. There is also a small shop on board and you can buy food and drink items — you’re not allowed to consume anything on the units. Although at this time of year the whole trip is in darkness, it would be pleasantly scenic in the summer. 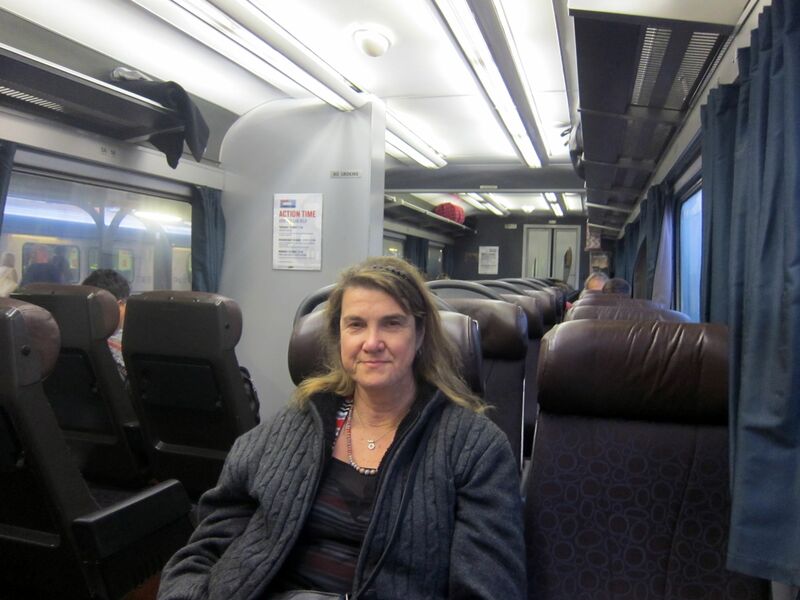 It was also nice to be on an express service (no stops) as far as Paraparaumu. Some got off there, more at Waikanae, but the majority were going further north. 2. 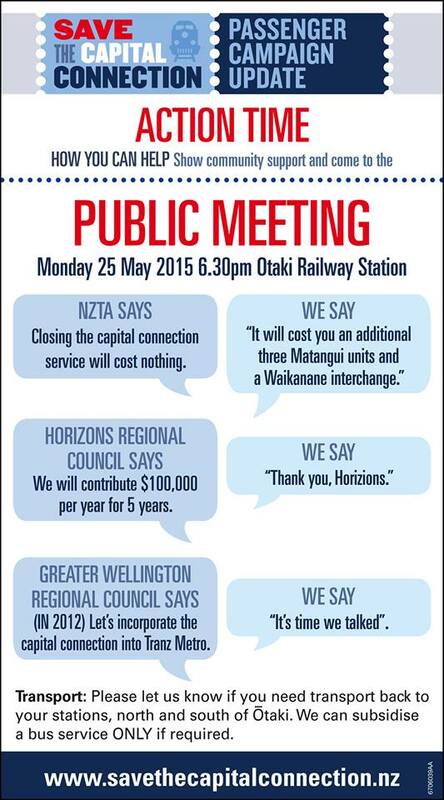 There are a lot of people who travel on the train north of Waikanae. For those interested in boosting patronage as far as Waikanae on the CC to counter the misleading statistics that the NZTA is putting forth as an excuse to scuttle the service, it should be pointed out that it doesn’t cost a whole lot more if you buy a 10 trip card, only $1.60 extra a trip and probably worth it for the faster transit time. If you have a Gold Card, the one way cost as far as Waikanae is $11, only $1 more than a ticket on the units (you can’t use your Gold Card on the units at that time of day). So does withdrawing this service make any sense? Definitely not. This was opened this morning. 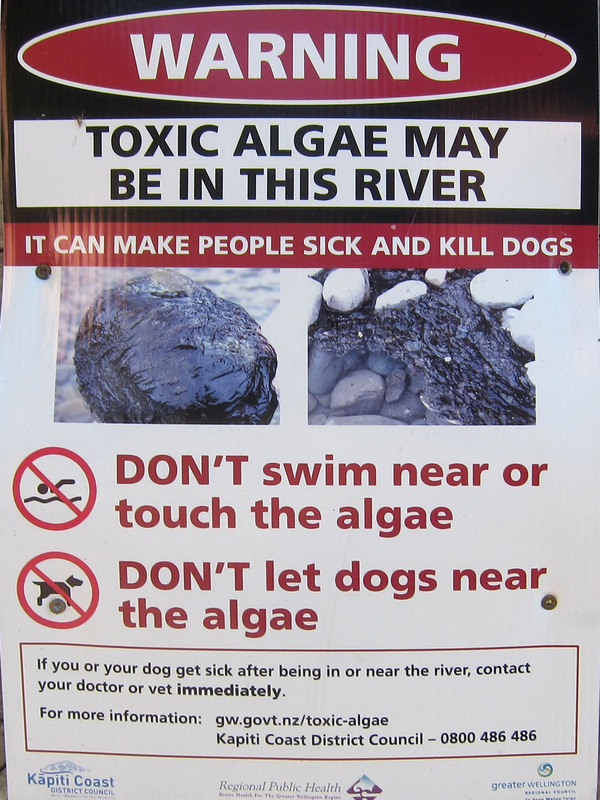 There was a lot of concern about the desirability of adding water that has been “sleeping” in the ground for decades, even centuries, to the river, but it seems that this has been adequately addressed. 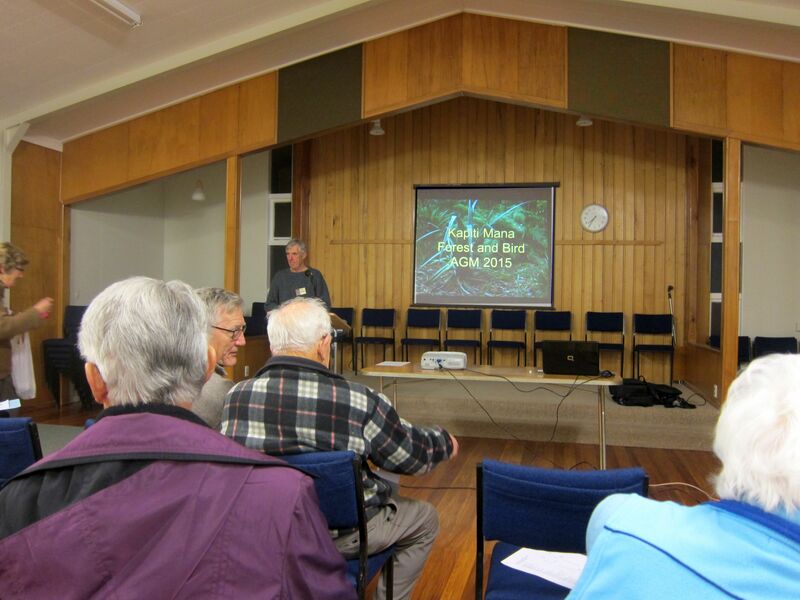 This was held tonight in Waikanae. The branch, which includes the Kapiti Coast and the Mana areas north of Porirua, has 875 members at present which is a good figure and shows that people care about conservation, unlike a few selfish developers. 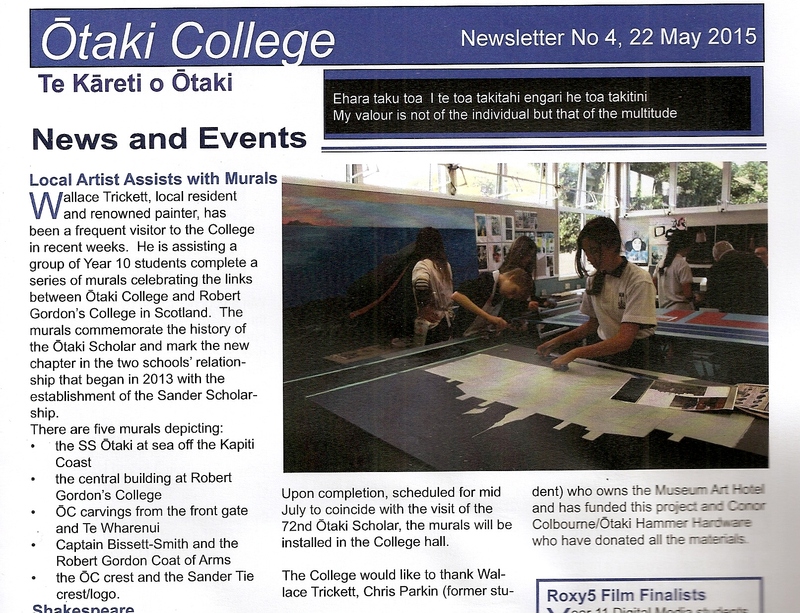 The Chairman spoke about the volunteer work members have put into areas like the Greendale Reserve and the south bank of the Waikanae River which are now showing good results. Apart from field trips to the two islands and other conservation areas, the next significant day in the calendar is Arbor Day on 5 June. * Don’t scalp them with a mower or even cut them too short – the ideal grass length is about 10 cm. * Prolonged dripfeed water is better than hosing and sprinkling. The effects of summer heat will make all parts of your garden very dry and even after heavy rain like we had a week ago, it can still be dry earth once you go down a few centimetres. The roots of plants need water, not the leaves. * The best time of year to plant is autumn. The soil is still warm and there will be plenty of rain during the winter to assist growth. * Overplanting followed by thinning (taking out the unwanted ones) when the plants get to a reasonable height is a good way to go, as the plants will protect each other from dryness. * Don’t underestimate the value of this! It will be by far the most fertile component of your garden. That’s a shame, I was hoping you would get in. Heard your talkback on Beach FM a few weeks ago, you came across well, some of them are certainly egotistical and just after prestige am picking. Congrats on the upgrade %, you deserved it and more. have enjoyed. Trust you and Eva are well. I’m not unhappy, it’s hard to criticise bodies when you’re a member of them. Not that it has stopped some Councilors like Jackie Elliot and she’s been given a grilling for it. I suspect all the WCB candidates had time on their hands and wanted to do something useful, I wouldn’t be too judgemental about them. If I had done more I could have polled higher, but it wasn’t a position worth devoting much effort to, not like the GWRC seat campaign that matters now. Of the 10,040 voting papers sent out (net), only 3,314 were returned, a 33% participation which gives Apathy 67% of the vote. While far from good, it wasn’t as bad as we had feared. That primary vote was actually 30 more than I got in the Councilor by-election in February, despite doing almost no electioneering, which shows a bit of progress 🙂 Jill Lloyd had the support of both Michael Scott and Sue Lusk of Destination Waikanae so her victory was almost certain. However, unless the present incumbents make bad decisions, I won’t be standing for a local seat again. The most important immediate need is better public transport in Waikanae and north of Waikanae, and the ideal forum for that is next year’s election for a seat on the Greater Wellington Regional Council. Those who take the trouble to read this blog are certain to have voted already, but if you are an eligible last-minute decider, please do so. There is a receptacle in the Waikanae library for these. What we don’t want is a big vote for Apathy, as this will simply demonstrate for those agitating for the ‘Super-City’ that people don’t care about the Community Boards. 1. Better communication – an up-to-the-minute agenda for WCB meetings should be available on the KCDC website, preferably on an easily recognisable button on the homepage and meeting Minutes should be available there quickly, regardless of the fact that they won’t be confirmed until the next meeting. 2. More seeking of views on key issues – such as do you want commercialisation of the Beach area, massive new subdivisions in the northern area, and so on. 3. Encouragement of local groups to volunteer to do important environmental things like cleaning up the public parts of the town, parks and Beach and suggest that if money is needed for certain projects that they apply for it under the local grant process. The WCB needs to be pro-active in its approach. 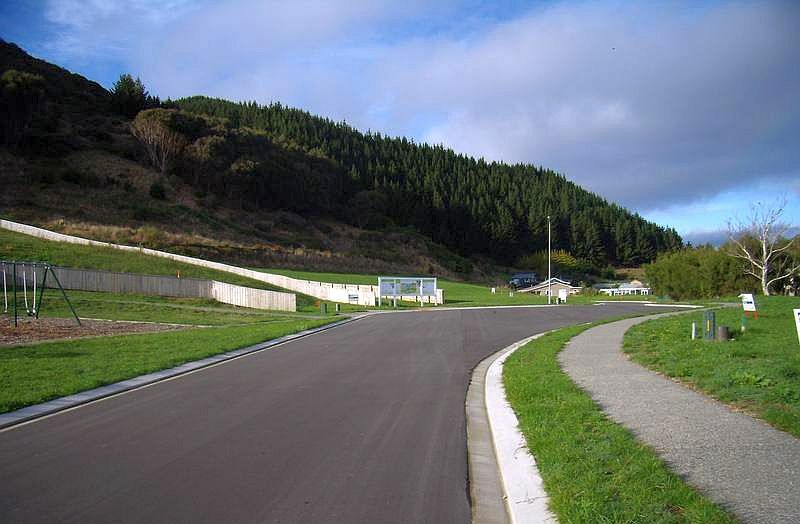 As mentioned before, the last thing Waikanae needs is more car drivers looking for a park at the train station, and when they can’t find one there (which on weekdays they won’t), the town centre. 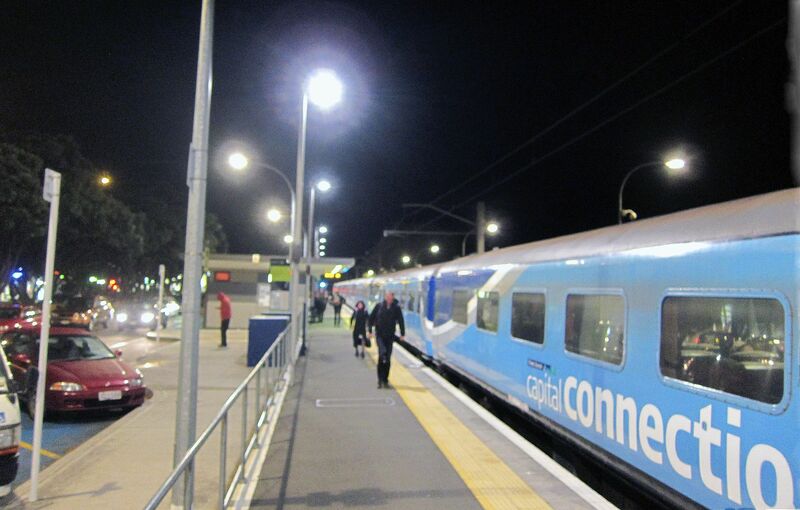 Until there is a replacement diesel-multiple-unit service from Palmerston North to Waikanae, we need the Capital Connection to continue. The other thing that could be done is extend the electrification for the electric units the 14 km to Otaki, but the GWRC has shown no enthusiasm for that either. As it is in the USA this weekend; in fact there are two military remembrance days: Memorial Day which commemorates those who have been killed in conflicts and is held on the third Monday in May, and Veterans Day which is for all service personnel and marked on 11 November, known as Remembrance Day in Europe. As mentioned in the post on ANZAC Day, we honor in Waikanae the U.S. Marines who were stationed here from 1942-1944 during the war with Japan. The majority of the 20,000 U.S. Marines sent to the Kapiti Coast were based in what is now Queen Elizabeth Park at MacKays crossing, but there were other camps along the coast including where we are. 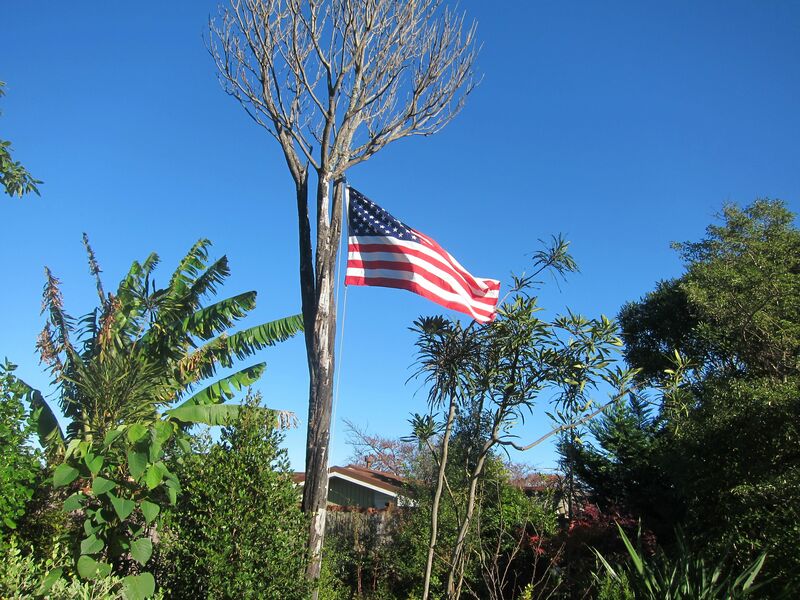 When a 6 metre tall Lancewood tree died in our garden we decided to turn it into a commemorative flagpole.